Education Diplomacy fills a skills gap that exists between education advocacy and education leadership. Although skills such as communication and organization management are important, skills in diplomacy are needed to solve increasingly complex problems of the 21st century. The Center believes the skills that create mutual understanding, negotiate agreement, and shape consensus will transform educators’ ability to solve education challenges and lead the advancement of quality education for all. The Center for Education Diplomacy - a leadership program of Childhood Education International (CE International) - is the first and only initiative to develop the Education Diplomacy concept and provide courses on Education Diplomacy skills. 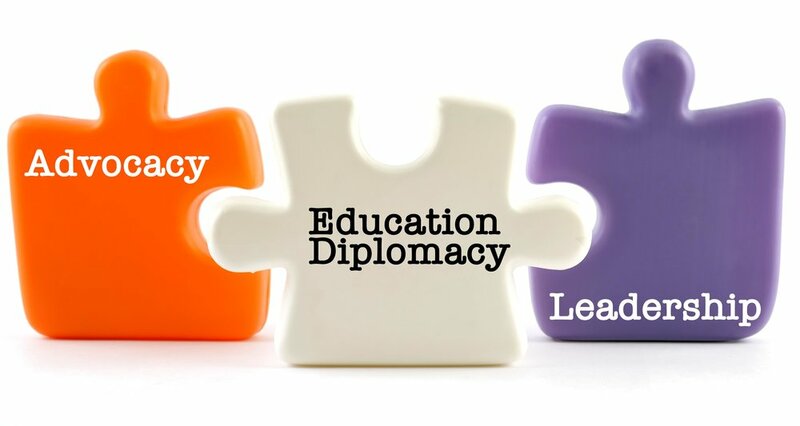 CE International began developing the Education Diplomacy concept in 2009 because it believes that education is the key to social, economic, and human progress, and the skills of diplomacy are necessary to advance education through greater cooperation across diverse actors, sectors, and borders. Promotes participation and cooperation to achieve SDG4 education targets.